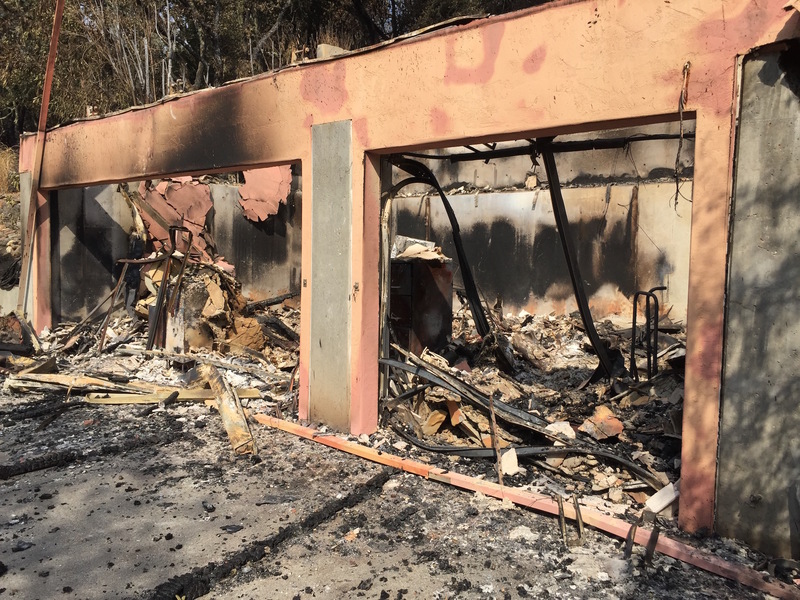 Among the casualties from last month’s North Bay fires were thousands of homes and businesses -- and some cultural landmarks. One of them was the home base of legendary nature sound recordist Bernie Krause, a place he and his wife and business partner, Kat, knew as Wild Sanctuary. For decades the Glen Ellen retreat was an inspiration to artists and scientists alike, yet probably unknown to most of its neighbors in Sonoma County’s Valley of the Moon. Only the foot-thick earthen walls of their unique "rammed-earth" construction home remain. It’s hard to imagine that just a year ago, almost exactly, I was here interviewing Bernie about his remarkable 50-year career in music, film, and his greatest passion: nature sound. 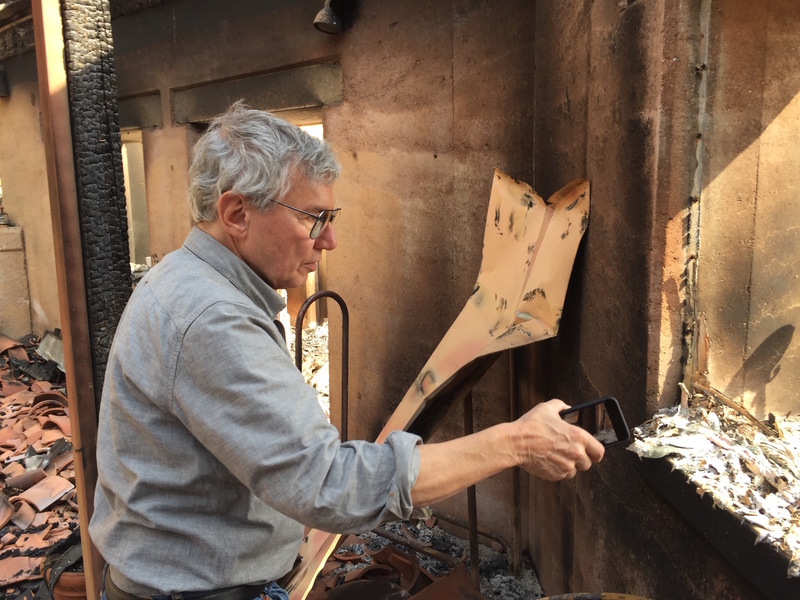 I was with Bernie and his wife and business partner, Kat, as they had their first chance to pick through the ruins of their home, office and studio. 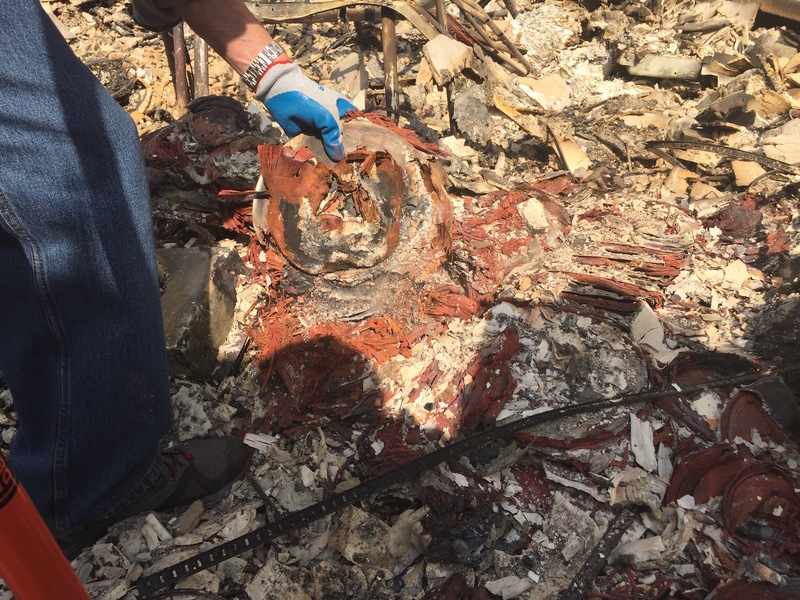 "I've got 50 years worth of work here," Bernie reflected, as he stood over the rubble in disbelief. "It's just amazing how it can all go like that." Bernie is a founding father in the emerging science of soundscape ecology. Author of The Great Animal Orchestra and numerous other books, Bernie's "niche hypothesis" brought attention to the important role that nature sound plays in healthy ecosystems. Now, the soundscape at Wild Sanctuary itself was reduced to the crunch of our own footsteps. No birdsong, no insects -- only a light breeze in the blackened oaks and an occasional faint clang of falling debris -- a cymbal crash to underscore the fragility of it all. In the office and studio, Bernie & I stood over a molten reddish-brown mound that had been his archive of reel-to-reel audio tapes. "There are reels and reels of this stuff," recalled Bernie. "I had over 500 reels of tape here -- and it’s all gone, Craig." 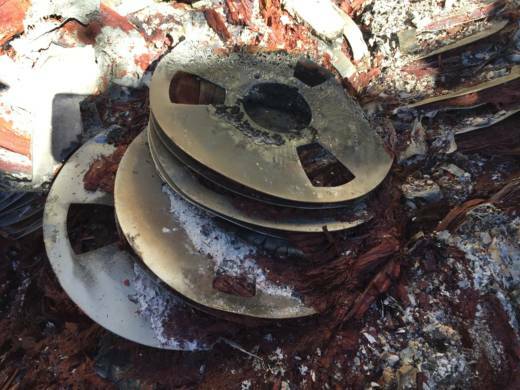 Fortunately, his irreplaceable nature sound archive -- thousands of hours -- was digitized and backed up off-site, but the loss of all the original media, his recording equipment and decades of memorabilia were reduced to ashes. "It’s just all ashes, which is...I guess the way we all end up at one point or another," he laughed, summoning his irrepressible sense of humor. "We will survive this, too." Kat Krause agrees with her husband that Wild Sanctuary will survive. Their home and studio was an incubator and collaborative space that yielded a wide range of works from scientific papers to a ballet and symphony. But it was always less a place than an idea. "I think because there were so many lovely ideas floating around here that had to do with connecting people to the natural world, it became sort of a magical place," recalled Kat. 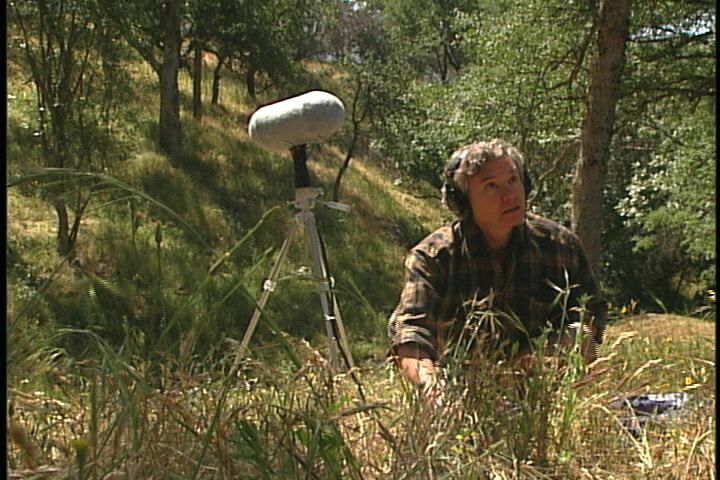 I first encountered that magic nearly 20 years ago, documenting Bernie’s work recording soundscapes in Sequoia-Kings Canyon, for the National Park Service -- a project that was foundational to the Park Service starting a broader program to document and protect soundscapes in the parks. Alcatraz Island is among the properties where Park Service scientists have made recordings. Sequoia is also where I met Jack Hines. He’s a musician and nature sound recordist who drew inspiration for both from Wild Sanctuary. "It’s not just the work that they do or that we do, it’s this bigger piece, which is truly the sanctuary of the wild," says Hines, "And by bringing the voice of that forward into all of our ears and our consciousness, it helps to preserve a certain resource for us as people, that is extremely valuable." It was Jack who called and warned Kat & Bernie to get out, which they barely did, escaping in their car at the very moment that flames exploded on the hills surrounding their home. "You would think with the level of emotion that I feel right now, that it’s as though we’d lost those two people," said Jack, needing a long breath to steady himself, "But thank God we didn’t." Jack and Bernie would sometimes record together up on Surgarloaf Ridge, the state park off of Highway 12, east of Santa Rosa. Bernie chose a wooded spot near a stream up there, to document changes in the soundscape over the course of California's 5-year drought. In those recordings, you can hear the life draining out of the place as the landscape became desiccated. There may be one more recording in the series, as much of Sugarloaf burned in the fires. But Kat hopes that, like that piece of scorched earth -- the spirit that inhabited Wild Sanctuary will be reborn. "It really resonated with people and they found a lot of community here," she recalled. "So that part of Wild Sanctuary we hope will be re-envisioned and maybe re-purposed for a new generation to take this work forward." Kat and Bernie have taken temporary refuge in Salt Lake City, where Kat has family. Where and how they will recreate their Wild Sanctuary, they still don’t know. They’re just confident that they will.